Chicago elected their first new mayor in 20+ years. The Packers won the Super Bowl. Japan had a horrible earthquake and tsunami. 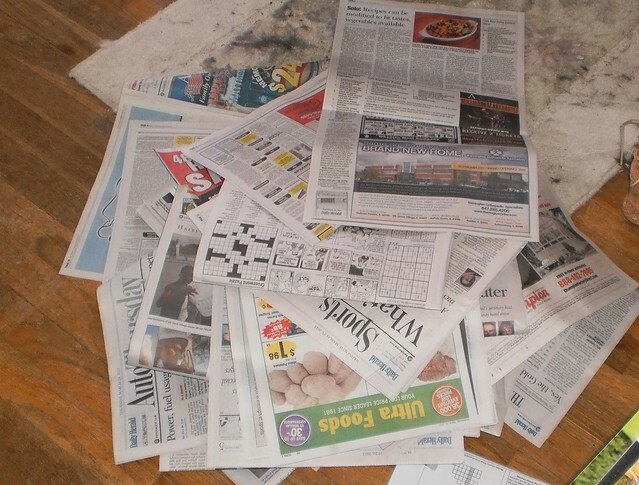 If my entire accumulation of news was from the newspaper, I would have just had sensory overload. What is one to do when moving one's arm generates excruciating pain? Well, I spent some of the awake time on Friday and then most of Saturday afternoon reading through the stack of newspapers in the living room. It was a jumble of days and weeks, not consecutive, except for the last 2 weeks. I got behind with the blizzard and never really caught up. I'd read a couple one day and then go 3 more days before picking up a paper to read. It was actually very interesting to plow through the stack as I had January papers where Rahm Emanuel was kicked off the Chicago mayor ballot and then the ones after he was reinstated. The diverse opinions are amusing. I didn't leave the house this weekend after coming back from the doctor, so I am behind by 4 papers, Friday to today. I'll sit down and read those tonight. Then I will be all caught up for 12 hours. Sometimes, I think that I would be better served by discontinuing the paper. A paper was missed 2 weeks ago and, when I let them know, they went into overdrive to make sure it does not happen as it did last year. Pam saved her papers from the blizzard as I canceled delivery from Thursday through Monday of that week, since I couldn't reach the drive anyway. She would happily save papers for me if I wanted to cancel my subscription. But, for me, a newspaper makes me feel connected to the news in a way the Internet doesn't. I'm probably showing my age with that statement. I like the feel of a newspaper. I like poring over the print. I like reading about my community. I like the comics. It's not the same with a computer. I guess that's what keeps me paying for a subscription. Plus, Pilchard doesn't demand my lap when I'm reading at the computer. You can't put a price on a lap cat.